Documentary film “ONE OF A KIND 3D G-DRAGON 2013 1ST WORLD TOUR(“ONE OF A KIND 3D”) about G-DRAGON’s solo world tour will be released in more than 20 branches of Cinepolis located in different cities in Mexico, including Mexico City, Cancun, Puebla, Campece, Merida, etc. Then, the film will be released in other cities in Central and South America one by one. Mexico’s “Cinepolis” movie theater to release “ONE OF A KIND 3D” is the fourth largest multiplex franchise in the world. 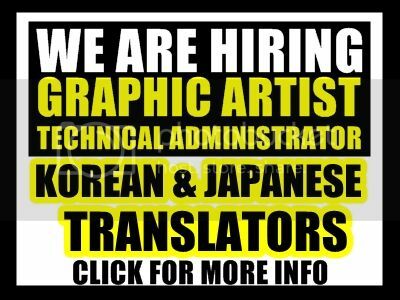 It has 400 theaters and 3,500 screens around the world. 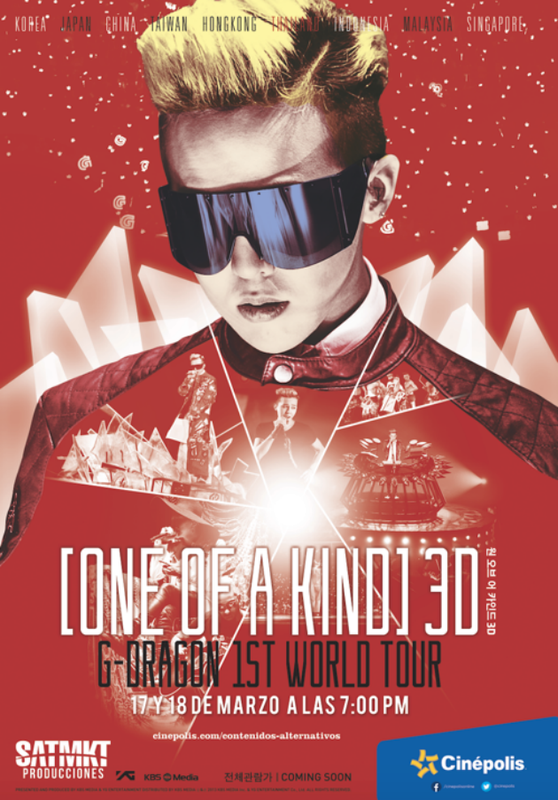 “ONE OF A KIND 3D” is a 3D live documentary film that shows G-DRAGON’s first solo world tour in 2013, that drew total 570,000 fans to 27 concerts held in 13 cities in eight countries. It was released in 2013 in Korea, Japan, Taiwan, and Singapore. 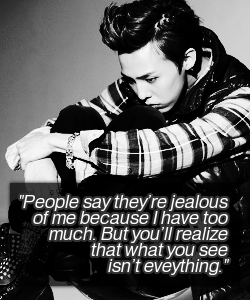 Its release in Central and South America shows G-DRAGON’s global popularity. “ONE OF A KIND 3D” is shot by total 24 cameras, showing G-DRAGON’s performances from different angles. 3D images and live performance videos produced by world-class top director will make GD’s fans in Central and South America feel like they are actually seeing the concert. Meanwhile, G-DRAGON has recently been committed to preparation for BIGBANG’s new album to be unveiled after three years of absence.